When you start to look for a Local Dog Walker there are lots of options that you can consider. 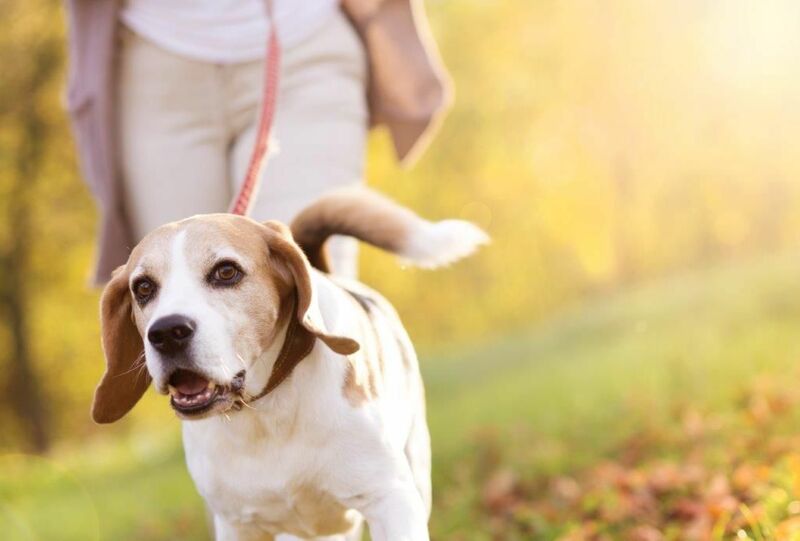 You probably want your dog to have a daily walk while you are out at work, but you really don’t need them to have a long walk as you walk them yourself either before or after work. This is exactly the reason we created our popular Quick Break Programme. Our 20-minute pop in service for busy dog owners. What Is the Quick Break Programme? A Quick Break visit is a 20-minute visit during the middle of the day for your dog. We come and take them out for a brisk walk and then refresh their water and leave them a treat (if you want them to have one). If it’s raining and they have wet paws we dry those off as well to keep muddy marks to a minimum. You dog doesn’t need a walk – no problem we can play ball, sit with them, feed them – whatever your dog needs. Why Use the Quick Break Programme For Your Dog? 1. They want a toilet break for their dog while they are at work. 2. They worry that their dog will be lonely when they are out. 3. They have an older dog that needs midday medication. 4. They have a puppy who needs company and toilet breaks. 5. They want to stick to their crate training programme for their new dog. 6. Their dog is sick and needs help throughout the day. 7. They have a very active dog who needs to get out for a brisk walk midday. 8. The convenience of not having to rush home from work at lunch. One of the best things about the programme is that you can be flexible about when you book your walks. If you only need us 3 times a week then that’s fine – just let us know which days and we can be there. Maybe it’s a Bank Holiday – that’s no problem either we can skip that day. Note – We have a fantastic online booking system so you can just book your visits when you want. But no worries if you want to talk to us – we can take your booking via phone or text! What If My Dog Walker Is Sick? That’s no problem we always assign you with 2 Walkers so that in the unlikely event your Dog Walker is sick or on holiday your dog doesn’t need to miss out on their walk. Our aim is to always make your life easier! What Happens If I Need 2 or More Visits A Day? You can book as many Quick Break visits as you need in a day. Want one around 11am and another at 2pm? Then that’s no problem. 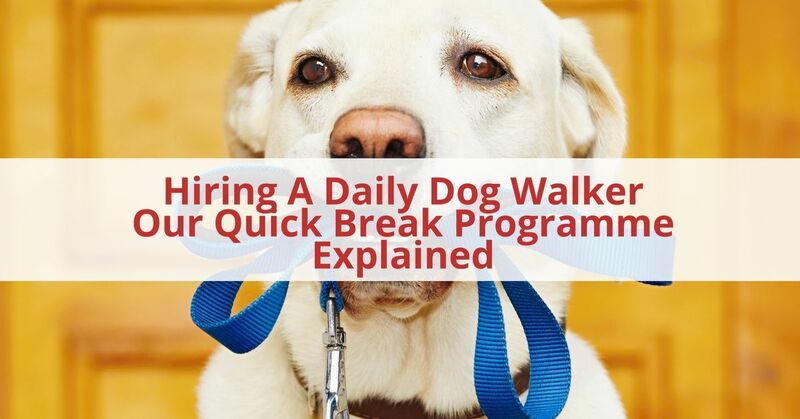 Is the Quick Break Programme Suitable for Puppies? Absolutely we can visit your Puppy as part of our Puppy Pack Programme. If you have a new Puppy that can’t go out we can play with them in the garden, clean up any accidents and make sure they get their midday meal. The Puppy Pack Programme is up to 3 visits a day to suit your puppies needs. It’s perfect during those early weeks when there are lots of accidents during the toilet training phase. How Much Does the Quick Break Programme Cost? This consists of a package of 20 visits which can be used over a 60-day period. Use them Mon-Fri for 4 weeks or maybe you only need 2-3 days over a longer period. How Do You Book a Quick Break Programme For Your Dog? To find out more about the Quick Break Programme and booking a Package for your dog call 1800 30 30 10 or fill out a contact form and we will be in touch. If a 2o-minute walk isn’t long enough for your dog then we offer 45 and 60 minute walks as well. Next What Is A Lesser Tenrec? Meet Wilson And Find Out!